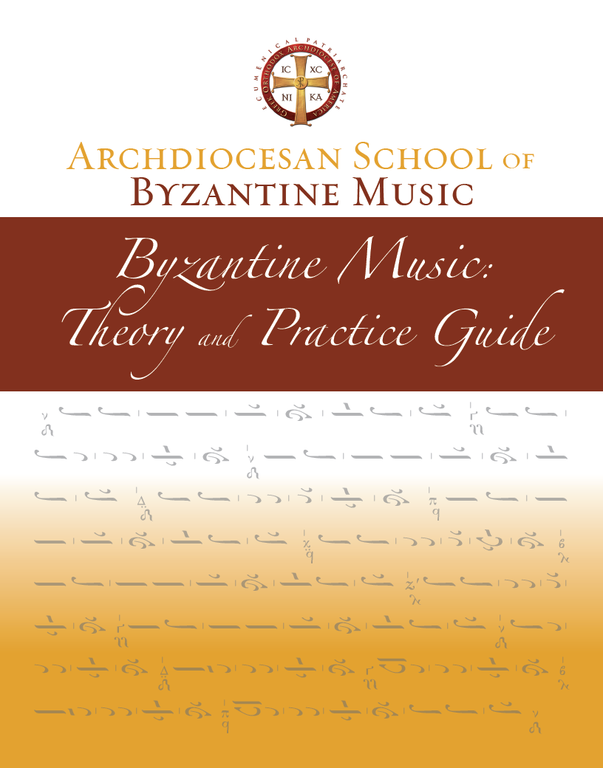 A very nice text for learning the theory behind Byzantine Notation, written in English. This is currently the textbook used at Holy Cross Seminary. 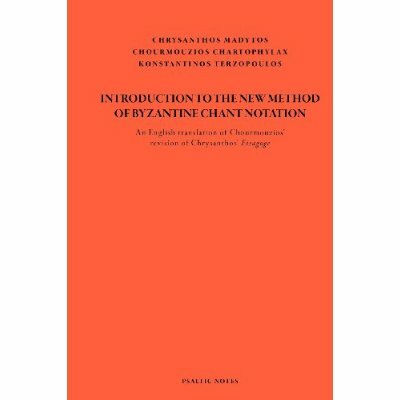 Sometimes, the English is a little awkward, or unclear, but it is a welcome addition to the English chanting world (the chapter on Orthography can be a little difficult to get through, too, especially for beginners). The book is well put together, and reads nicely. Many of the musical examples are in English, which is very helpful to see. This is not a text book, but a very nicely colored guide with exercises. 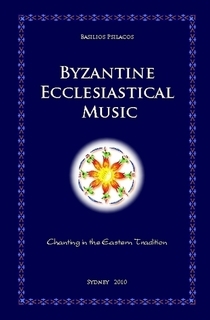 The musical examples are in Greek, but the explanations are in English; I'm hoping they come out with a newer version with English examples. It's a little expensive, however, it comes with a CD of examples. I have been told that the written exercises have some mistakes, but I have not looked through the book in-depth myself. This is the classic manual, newly translated into English by Fr. Konstantinos Terzopoulos, of the reformed byzantine notation (established in 1814), written by two of the three reformers. The text is Chourmouzios Chartophylax's revision of Chrysanthos of Madytos' writing. It is helpful to see the way that the ideas are put forth, although this sometimes leaves the topics feeling antiquated (the descriptions are not modern in feeling). The book is surprisingly short/brief, and can leave a beginner/intermediate learner desiring more description or more depth. 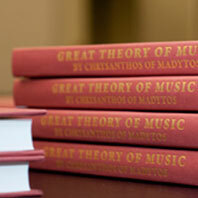 That being said it is a nice resource to have, and, coupled with the "Great Theory of Music" below (also by Chrysanthos), is an important historical music book. For the English reader, though, a knowledge of the Greek alphabet is helpful. Many words or figures are not translated or transcribed, which can leave the reader feeling left out if he/she has no knowledge of Greek. The 2010 hard-back version of the pdf below, translated by Dr. Katy Romanou, with commentary is not being distributed any longer (although it can be found in libraries). An enhanced CD with the updated 2011 pdf version and extra material can be found here. A translation of the textbook used at Holy Cross Seminary for many years. (Currently it is out-of-print and difficult to find, so I have provided it here with the permission of Holy Cross Press). A very nice text, although sometimes ambiguous on certain points of theory or too "western" (and a few mistakes here and there). An interesting text translated from Romanian; theory explained by translating it into western notation. A translation of the classic Greek text by Dr. Katy Romanou (adds many antiquated western notation words).